The Syrian troika — Russia, Iran and Turkey — designated Idlib a “de-escalation zone” last year. But what happens there next could potentially undermine the so-far mutually beneficial agreement among the three countries. De-escalation in Idlib genuinely serves Turkey’s interests: It keeps both the Syrian Kurds and the Assad regime away from the border, it preserves Turkey’s relevance to a long-term settlement, and it houses Syrians who would otherwise try to join the 3.5 million refugees already in Turkey. Turkey has shown its commitment by setting up observation posts around the province and by establishing the National Liberation Front, an amalgam of Free Army and Islamist militias that follow Turkish orders. Russia and Iran, on the other hand, have always seen the de-escalation zones as tactical and temporary. Just as Daraa and Ghouta were abandoned, so (they hope) Idlib will be returned to Mr. Assad’s control. The Syrian regime and its allies justify their coming attack on Idlib by saying that they want to root out jihadists. Hay’at Tahrir Al Sham, which is led by the Qaeda-linked Nusra Front, dominates some 60 percent of the province and has an estimated 10,000 fighters, according to the United Nations special envoy to Syria, Staffan de Mistura. The repeated descriptions of Idlib as a “terrorist hotbed” support the regime’s narrative that all opposition to its rule consists of terrorist groups; it also absolves the international community of any responsibility to protect civilians. But this characterization of the province is inaccurate. The people of Idlib have been at the forefront of the struggle against Hay’at Tahrir Al Sham, or H.T.S. 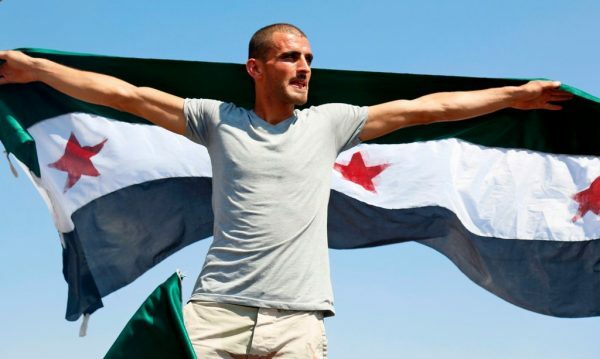 Since Idlib’s liberation from the regime — partially in 2012 and then fully in 2015 — many of its citizens worked to build a free society that reflected the values of the revolution. According to researchers, more than 150 local councils have been established to administer basic services in the province; many held the first free elections in decades. Long-repressed civil society witnessed a rebirth. Independent news media, like the popular Radio Fresh, were set up to challenge the regime’s monopoly on information. Women’s centers grew, empowering women to participate in politics and the economy. H.T.S. has threatened these hard-won achievements. The group has tried to embed itself within the local population. Since the fall of Aleppo in 2016, it has intensified its attempts to impose its ideology by taking over local institutions and establishing Shariah courts. It’s been ruthless with its perceived opponents. In December, it arrested four prominent activists displaced to Idlib from Madaya, ostensibly on charges of “media work against H.T.S.” Raed Fares, one of the founders of Radio Fresh, survived an assassination attempt, as did Ghalya Rahal, who established the Mazaya Organization, which runs eight women’s centers. Fighting between H.T.S. and other rebel groups has left many civilians dead, and a spate of assassinations and kidnappings for ransom has left the local population fearful and angry. Syrians did not risk their lives and rise up against Mr. Assad’s dictatorship to replace it with another. Many local councils issued statements rejecting H.T.S.’s authority in local governance or declaring their neutrality in fighting between rebel groups. Hundreds of local activists coordinated opposition to H.T.S.’s control and called for demilitarization of their communities through media campaigns and public demonstrations. Courageously, they replaced the black jihadist flag with the flag of the revolution. In April, medical workers held protests against infighting and kidnapping. Women organized against H.T.S.’s discriminatory edicts, such as the imposition of strict dress codes and requiring widows to live with a close male relative.